Recycled, refurbished, and repurposed are all buzzwords in the world of modern, sustainable home design. “Brand new” as a requisite is swiftly being abandoned, as more and more people are incorporating products with the past into their walls, floors, doors, mantels, and furniture. In addition to this practice being more eco-friendly, it’s also a super-hot design trend, and a material’s recycled nature is often put in the spotlight instead of hidden away. Here are four ways to stylishly integrate sustainability into your home design. Reclaimed wood adds an interesting element to any home design because it comes with a story. For example, this colorful, lust-worthy wall is made from reclaimed gymnasium flooring and is available custom-made from installation artist and R&R Designworks furniture designer Sarah Reiss. The paint and varnish lend new life to the wall, while proudly putting its former life on display. You can also use reclaimed wood on worktops, outdoor seats, cabinet doors, shelving units, and anything you can come up with to give a hip industrial look to your home. Reclaimed wooden boards can be easily sourced from building sites and reclamation yards all over the country. Designers and architects increasingly turn to reclaimed wood to give a unique touch to modern homes (Because no two pieces are exactly alike) – both for the exterior and interior spaces. Popular since the 1980’s, reclaimed wood has evolved from a shabby chic or rustic style element to an ultimate expression of individuality. Almost any contractor offering marble or tile, whether for floors or countertops, can also offer sustainable alternatives such as engineered marble, recycled glass, and recycled paper. 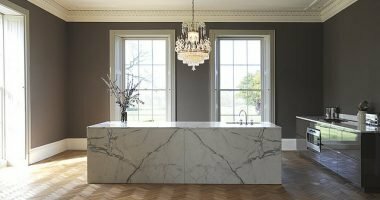 Engineered marble is marble dust that is pressed, heated, and bonded with resin to recreate its original look. Pros: It’s less porous, more resistant to scratches and stains, and doesn’t require any special cleaning or treatment. Recycled paper and glass have similar benefits and bring their own distinctive looks. 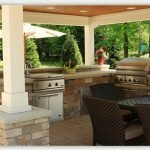 Ask your home renovation professional for details. TIP: Planning to Remodel Your House? Use our free Remodeling Estimator to Find Out the Remodeling Cost Instantly. Barn doors are making a huge splash as room décor, as well as interesting additions to cabinets and other fixtures. They’re especially popular in the country and rustic design styles. You can give a new life to old barn doors with some simple hardware, and various options allow you to install a sliding door over entrances and on cabinets. 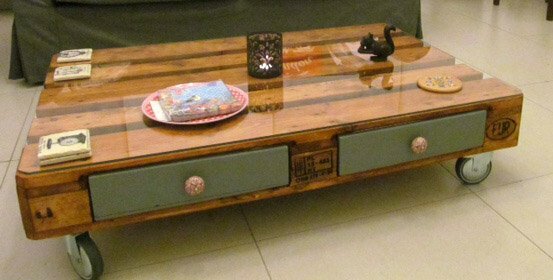 Reclaimed or repurposed materials are frequently upcycled into furniture such as lamps and tables. These are often the work of artists who have found a unique creative outlet, and they make great conversation pieces. Sustainable home design requires a bit of creativity, and finding ways to breathe new life into old materials can be a fun way to personalize your space. Give your home a chic look, and wow your guests with the stories behind your sustainable home furnishings.